You can customise the meal names to suit your own requirements. 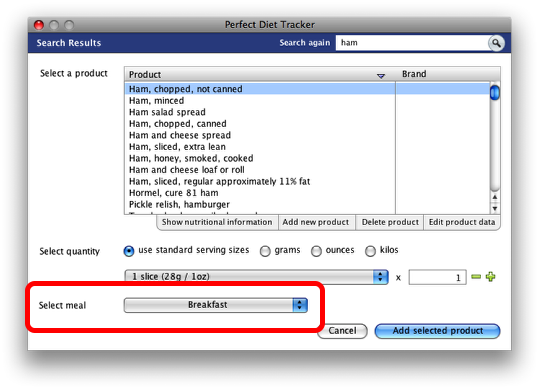 Search for a food to add to your diary, then click on the ‘Select meal’ box highlighted above. 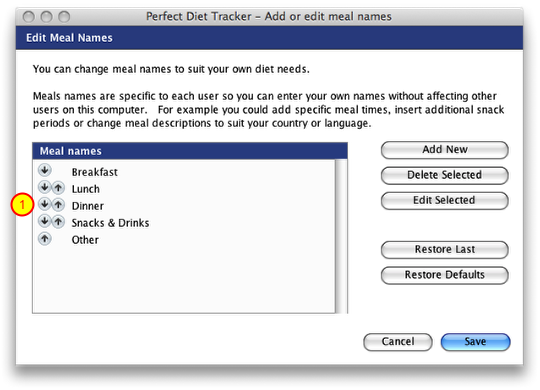 The edit meal names window will be shown, you can now add new meals or change the existing ones. To change the order the meals are shown in the diary use the up and down arrows (1) to adjust their position in the list. 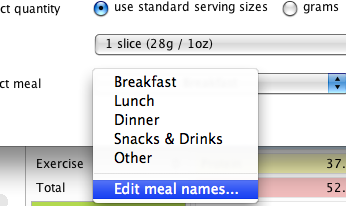 Edit Selected: Lets you rename the currently selected meal. Restore Defaults: Restores the default meal names. Cancel: Closes this window without saving the changes.